Mr. Reeve has been convicted of fraud and will be sentenced June 11, 2018. 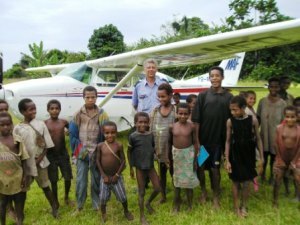 Just a few short years ago I retired early from my nearly 30 years airline career retiring as a captain from Air Canada, packed up my household and headed overseas to serve as a pilot-missionary with Mission Aviation Fellowship in Papua New Guinea. Leaving ten years early represented leaving the better part of two million dollars yet to be earned. We did what we thought was the “right thing” and hired a financial advisor to help us plant our pension savings earned up to that point, in a safe and productive manner. The advisor was well known to the community, had promotional material created with folks like Jeff Hutchinson, and Mark Tukesbury among others, who’s images were presented and linked to that of Daniel P Reeve, of DPR Financial, Millionaire In You, and other entities representing Reeve’s business interest.